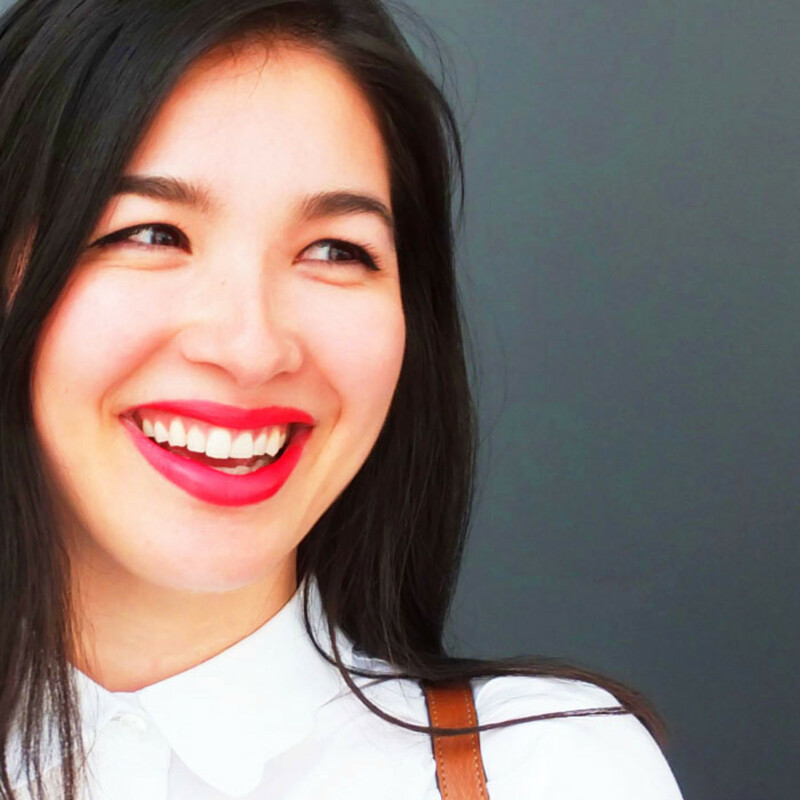 I often geek-out over whatever lipstick Tania Kwong, glow Magazine's beauty editor, happens to be wearing when I see her. This time it's Covergirl. 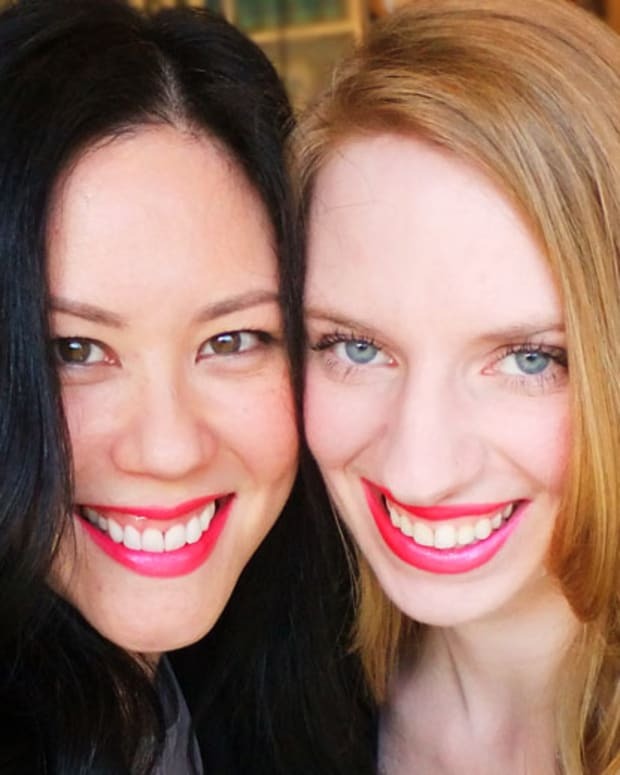 Pretty much every time I see Tania Kwong, glow magazine&apos;s lovely beauty editor, I geek out about something: outfit, skin, hair, lipstick. She also has the most adorable sweetpea little girl, Olivia, who is just over a year old. 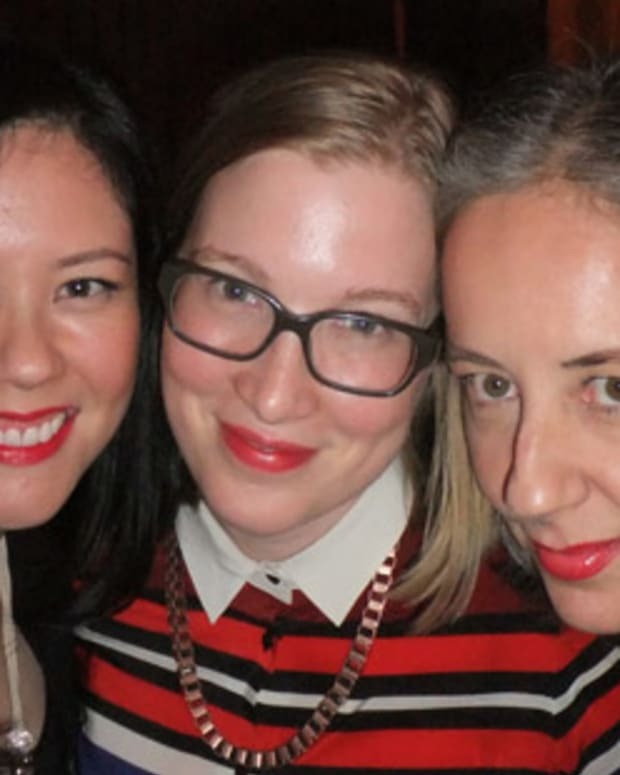 This, obviously, is a lipstick geek-out. Love this fabulous red, especially against such dark hair, great skin and that pristine white shirt. 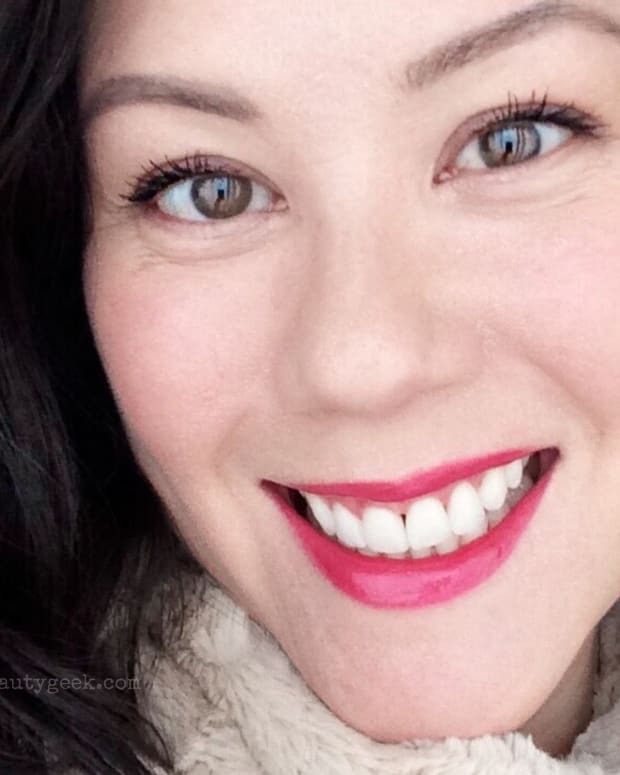 Tania is wearing Covergirl Blast Flipstick Lip Color in Cheeky ($9.99 at well.ca), the no-shimmer side. Is it getting easier for you to reach for red yet? Photo via Fujifilm Finepix F770EXR.